Students received free backpacks and other school supplies in the West Pullman neighborhood on the South Side. 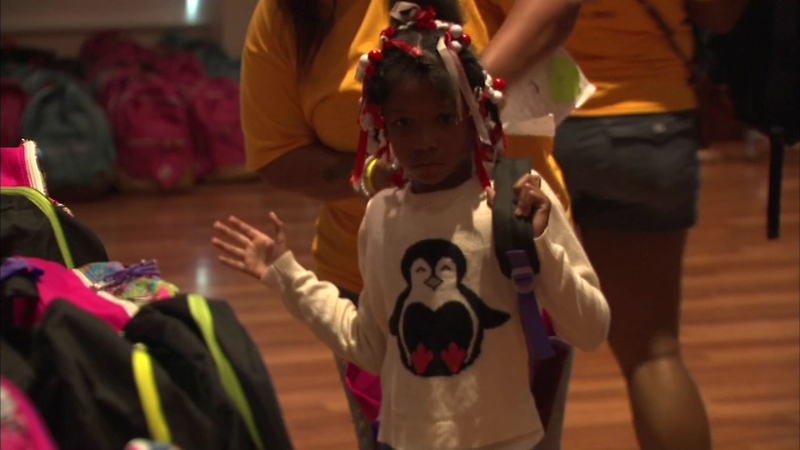 CHICAGO (WLS) -- Chicago native Jennifer Hudson is helping thousands of local kids prepare for the first day of school. The event was part of "Hatch Day," an annual back-to-school event created by Hudson and her sister. It celebrates the life of the singer's nephew who was killed in 2008.